This years speed hike took us all the way to the White Mountains. A range not too often climbed. It is dry and very rugged as we found out. The goal was to traverse them in the north - south - north direction starting at queens mine ending up at White mountain access road gate. 30mi ~ 11,000ft elevation gain. 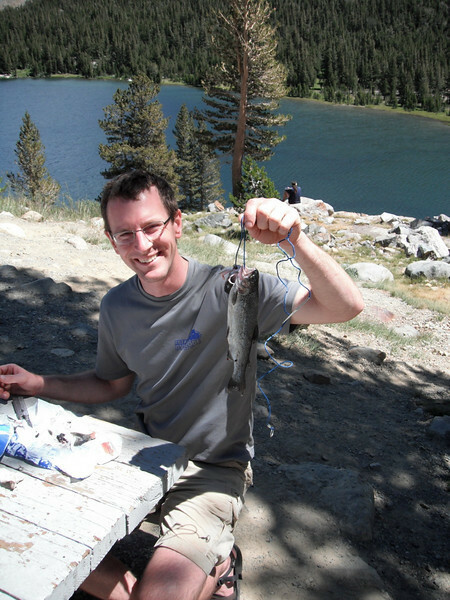 Sleeping at Tioga pass, fishing, climbing, eating for acclimatization, the down to Bishop for a last set of information and supplies. Up at 3.15am on Saturday to start hiking at 4am.